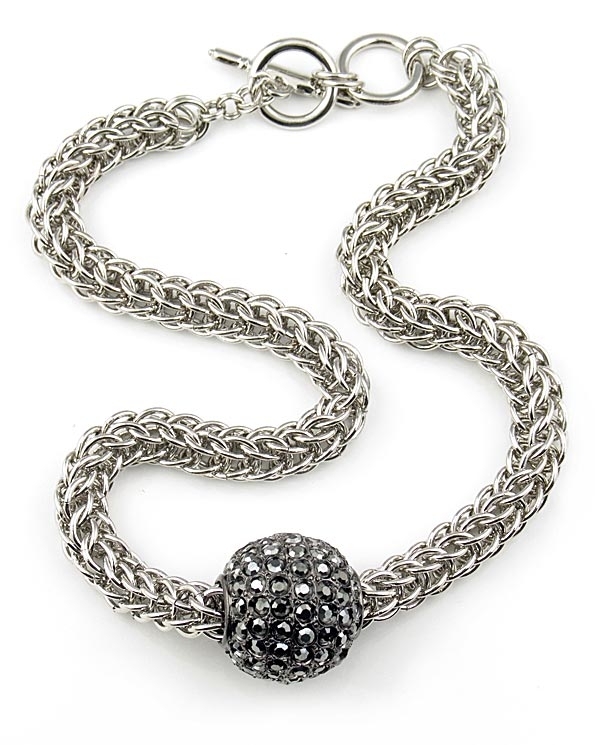 Disco Ball necklace on a chunky silver chain by Kenneth Jay Lane. Large gunmetal disco ball covered with swarovski crystals hangs by a silver rope chain. Ball measures approximately 2cm / 0.9". A stunning necklace also makes a beautiful gift.